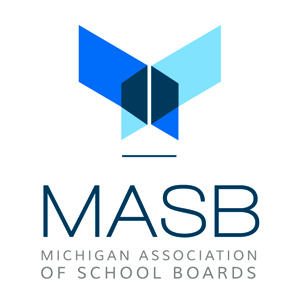 The Michigan Association of School Boards has launched the Get on Board campaign to increase interest in serving on a board of education. The campaign will focus on encouraging people to give back to the community and to help advocate for an improve student achievement. In the last school board election in 2014, nearly 10% of the available seats weren’t filled for at the filing deadline. MASB commissioned a poll through EPIC-MRA in March 2015 to find out why there wasn’t more interest in school board service. The poll found that 27% thought school boards were too political, 22% were apathetic, 15% said the time commitment was too great. 14% believe school boards are ineffective, 13% were’t aware of any openings on their local board and the remaining 9% were undecided. To learn more about the roles and responsibilities of board members, visit www.masb.org/school-boards.aspx. Materials for the Get on Board Campaign can be found at www.masb.org/getonboard. If you’re interested in board service, contact MASB for more information at 517-327-5900.